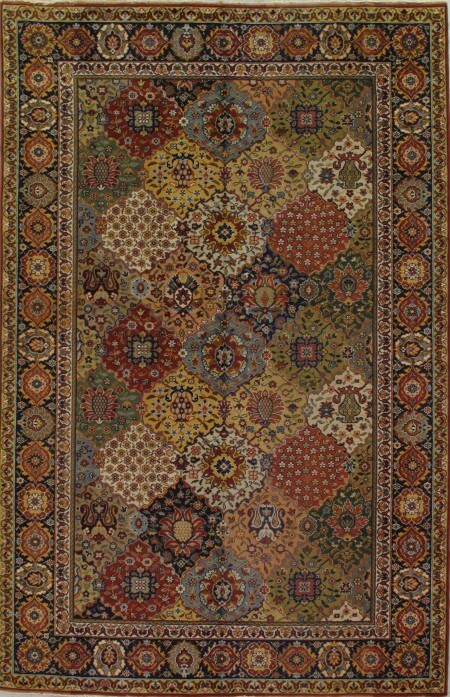 The product of an accomplished Tabriz workshop. 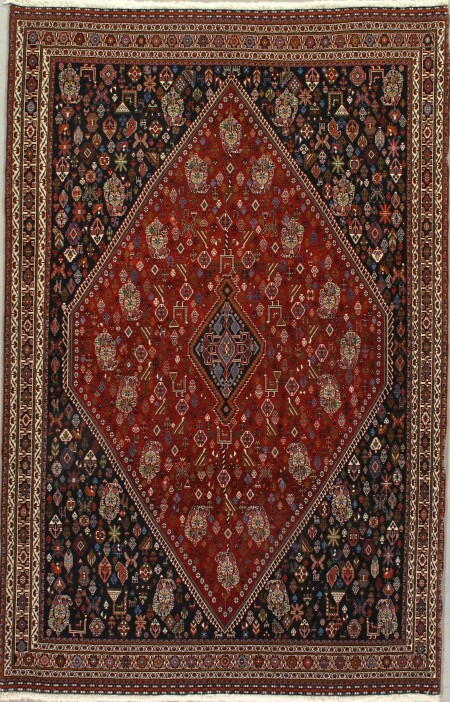 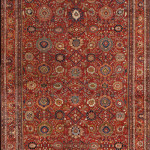 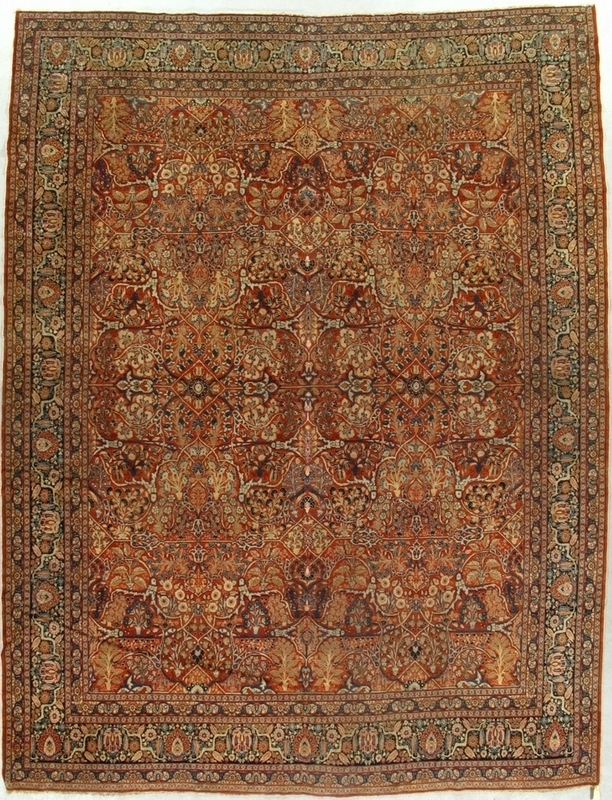 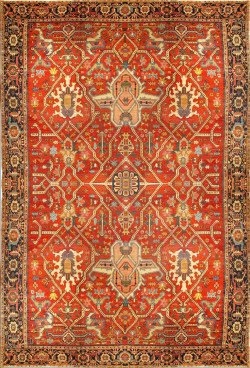 This carpet has a complex design of small lozenges, split arabesques, floral elements and leaves on a rust background. 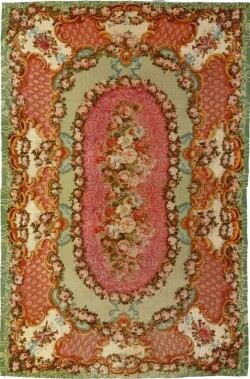 The pattern almost totally covers the ground. 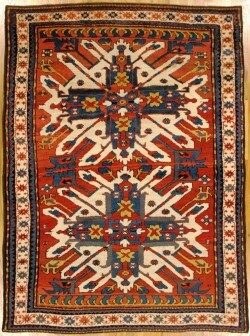 The equally well filled dark blue border has unusual palmettes and other vegetal device.